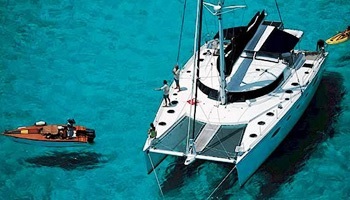 Luxury Catamaran Passagers du Vent is an Eleuthera 60 by Fountain Pajot who are one of the world’s number one builders of cruising catamarans and the Eleuthera 60 is their flagship. 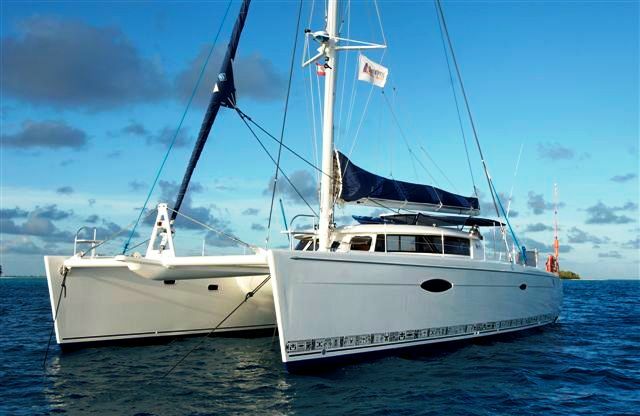 Passagers Du Vent was especially designed to cater to a maximum of 10 guests on board and is the ideal yacht for those who wish to explore the Windward Caribbean islands where she is based year round. 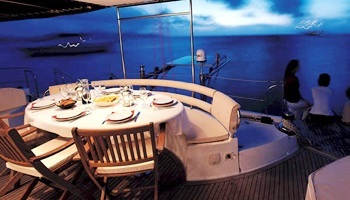 Passagers du Vent is an impressive yacht. 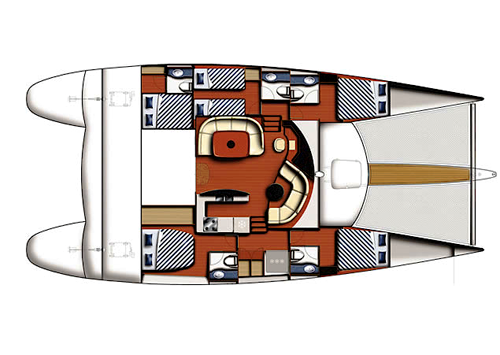 Her design combines style and grace with power and performance and with light open spaces, spacious cabins and expansive decks, you will find plenty of areas to relax on the Eleuthera 60. 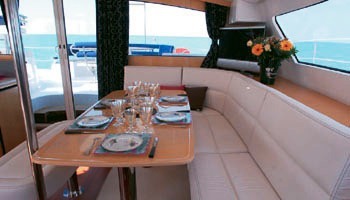 Passagers du Vent has a welcoming saloon providing an open panoramic view to its exceptional deck and the open ocean. 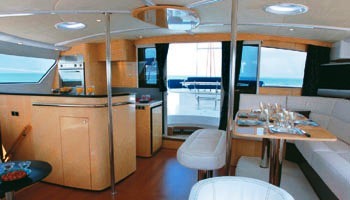 Her 5 comfortable and spacious cabins, each has a private bathroom. 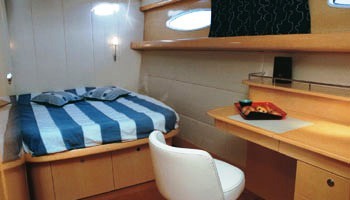 The salon is also able to be converted into a double berth. 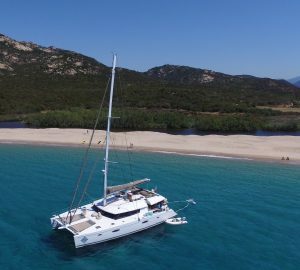 Navigating at an average of more than 12 knots, the Eleuthera 60 is simple to sail with an electric fully battened mainsail and roller-furling genoa. She also features some original solutions such as the unidirectional and bi-directional fibre vacuum infusion construction, reinforced skegs to protect propellers and rudders and to permit beaching up in calm water. 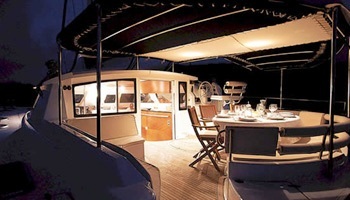 While enjoying various sporting activities and visiting some of the most majestic shores in the world of the Caribbean, you will certainly not experience a dull moment. 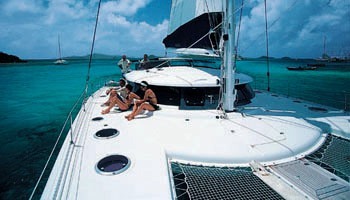 Included in the rates for Passagers du Vent is full board and a French crew of 2. 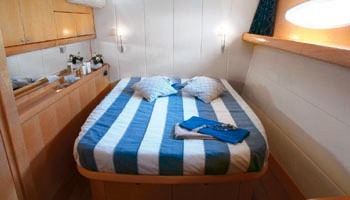 Passagers du Vent can accommodate up to 10 guests in 5 double cabins with ensuite bathrooms. The saloon is also convertible. 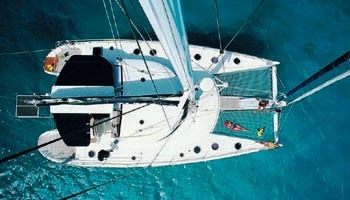 Passagers du Vent has the following tender toys and amenities: 15' Hard bottom dinghy, 24HP, kayak, donuts. 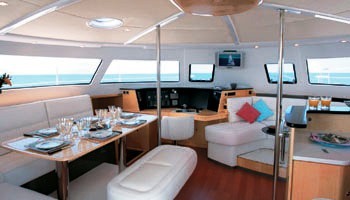 Communications include a Cellular Phone and her Audio Visual Equipment and Deck Facilities include a DVD + CD players with internal and external speaker.